It’s a no brainer: if you’re looking to start an e-commerce business, you need to get paid by your customers in order to be successful. That’s why online retailers turn to a payment gateway or payment processor for online credit card payments. As you’re looking for the right payment gateway for your business, consider comparing some of the top e-commerce payment platforms: Stripe vs. PayPal vs. Braintree vs. Authorize.net. It’s worth noting that traditional payment gateways simply transfer information between payment portals while relying on the business owner to have a merchant account with banks like Wells Fargo or Chase. Many of the current payment industry leaders offer plans with more than just payment gateway features. Today, Stripe, PayPal, Braintree, and Authorize.net have plans that take care of the entire payments process—no additional accounts needed. To make sure this comparison is comprehensive, we’re including traditional payment gateways and full-stack payment processors. Specifically, we’ll take a look at the different fees, security options, and integrations to keep in mind as you research the different options. Without further ado, here’s our comparison. Stripe is a full-stack payments processor so you do not need to have relationships with merchant banks or American Express to accept payments. Stripe’s easy-to-use API allows it to connect with just about any e-commerce platform for streamlined payments processing. If you’d like a more customized integration, you can hire a developer to integrate Stripe with your technology of choice. Stripe accepts major credit and debit cards plus less popular forms of payment like Bitcoin and Apple Pay. For companies with less than $1 million in annual revenue, Stripe will charge you 2.9 percent plus $0.30 per successful card charge. There are no setup or monthly fees. However, if there is a dispute or chargeback, you will have to pay a $15 fee. If the customer’s bank resolves the dispute in your favor, that fee is fully refunded. Money received is transferred into your bank account on a two-day rolling basis automatically. Stripe is celebrated as an incredibly secure payments option. In fact, it’s been assessed by a PCI-certified auditor and is certified to PCI Service Provider Level 1—the most stringent certification level in the payments industry. PayPal Standard is an entry-level payment option that also does not require a merchant account. It will redirect customers from your website to PayPal to process the funds, which makes for a secure experience but one that you have little control over. Just like Stripe, PayPal Standard charges 2.9 percent plus $0.30 per successful online transaction. However, if it’s a transaction under $10, it is charged at 5 percent and $0.05 per charge. If you want to house the payment process on your website, you’ll opt for PayPal Payments Pro, which has the same per charge fees, plus a monthly cost of $30. This is a great option if you’d also like to accept payments over the phone, because its Virtual Terminal accepts phone payments for a slightly higher cost per transaction (3.1 percent plus $0.30). PayPal accepts a large number of credit cards, including Visa, MasterCard, American Express, and Discover. PayPal will help your business be compliant with PCI DSS (Payment Card Industry Data Security Standards). PCI DSS is a set of comprehensive requirements all businesses that handle credit and debit payments must comply with, regardless of the size or number of transactions they process. Braintree is technically a PayPal service, since it was acquired by PayPal in 2013, but it does operate separately. 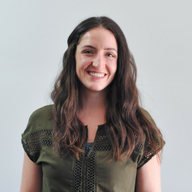 Braintree gives businesses their own merchant accounts, so businesses can stay with Braintree as they expand and begin needing a merchant account due to volume. Braintree will charge you 2.9 percent plus $0.30 per transaction. There are no minimums or monthly fees. If there is a chargeback, the fee is $15, which is refunded if the bank rules in your favor. It accepts a wide range of payment options, including credit cards, debit cards, PayPal, Venmo, Apple Pay, Google Pay, and more. Braintree is a validated Level 1 PCI DSS compliant service provider. Its cardholder data is managed in the Braintree Vault, using multiple encryption keys with split knowledge and dual control. Authorize.net offers three different types of plans, so that businesses of all sizes can be successful using its software. The All-in-One Option is good for small businesses that don’t have their own merchant accounts with a bank provider. There’s no setup fee. The monthly cost is $25 and you’ll be charged 2.9 percent plus $0.30 per transaction. The Payment Gateway Only is for businesses that have a merchant account and just need the technology to process and accept payments. This plan will cost $25 each month, plus $0.10 per transaction and a daily batch fee of $0.10. The Enterprise Solutions are uniquely customized for businesses that ship more than $500,000 per year. Pricing is tailored to each company, so you’ll have to reach out for more information. Authorize.net accepts all major credit cards, signature debit cards, e-checks, and digital payment solutions like Apple Pay, plus you can integrate with PayPal. It’s also compliant with PCI DSS, plus offers a number of customizable security settings to fight fraud, like IP Filters and Transaction Filters. 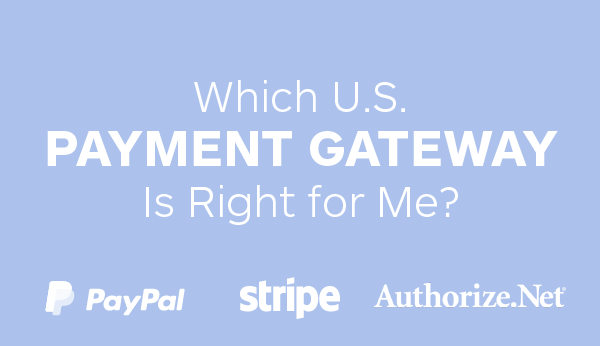 Which is the Best Payment Gateway? All of the above payment gateways and platforms are great tools—it just depends on what you’re looking for. Take some time to look into each option and consider requesting a demo or free trial to get a sense of the user experience. And, before you make your decision, you will want to consider how the payment gateway integrates with the other tools you’ll be using. For example, if you’re shipping physical goods, does your payment platform integrate seamlessly with a shipping tool to streamline the order fulfillment process? Stripe and Authorize.net integrate with Shippo, an easy-to-use, powerful shipping software that can help you print a label in 10 seconds. You can try Shippo for free with either a 30-day free trial of our Professional Plan or on our Pay As You Go pricing plan. Visit our pricing page for more information or reach out to us. If you liked this article, you might also like our e-commerce platform comparison, our website builder comparison, or our comprehensive e-commerce shipping guide.